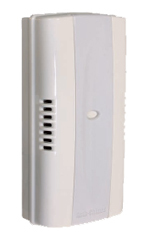 You can spend more, but you will never find a product that lasts longer and sounds better than a genuine Auth-Chime. Time-proven design, the finest materials, and acoustically buffered strikepads work harmoniously to create a rich and distinctive two-note musical tone that is always pleasant to the ear. Auth-Chimes look as good as they sound; and our new, sleek cover design fits with any decor. 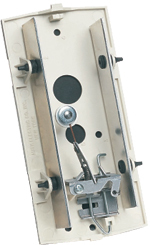 This new plastic cover and new base and mechanism will fit any old Auth-Chime installation.